To view listings click the links below. I have been a specialists and leader in Fractional Ownership sales since the mid 1980’s. There are Fractional Interests for sale in 3, and 4 Bedroom Luxury Condos at a Lakefront Private Residence Club, Luxury Single Family Homes and low priced small cabins and condominiums, all offered as Fractionals. I also can help vacation home (or condominium) owners create a Fractional Ownership plan for their property. 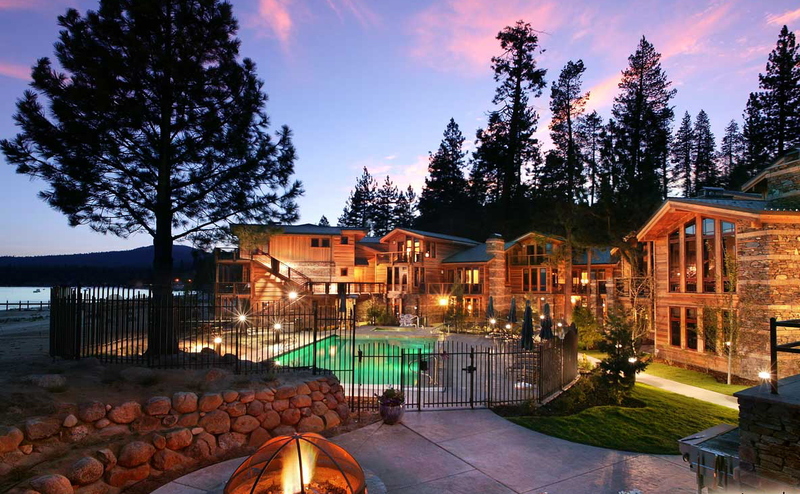 FRACTIONAL OWNERSHIP IN THE TAHOE/TRUCKEE MARKET? WHAT IS FRACTIONAL OWNERSHIP (SHARED OWNERSHIP)? A number of families or people can share the deed, the ownership, the use, and the cost of one property (cabin, condo etc.). Sometimes title is held informally among friends or family, with no specifically defined use schedule or legal documentation. More often it is a deeded, legally defined shared ownership agreement with specific Covenants Conditions & Restrictions that govern the use and scheduling of time among its owners. Before the economic downturn, the rapid appreciation of luxury resort real estate in high demand world class destinations caused the evolution of the Fractional Ownership industry. Even in our present economy, the average cost of a vacation home in the North Tahoe-Truckee market, is currently in the $1,500,000 + range, which makes it difficult for many people to justify owning when they will only use their vacation home a few weeks a year. A Fractional Ownership arrangement (also know as Shared Ownership) offers the benefits of equity-based deeded real estate ownership, combined with the prestige and exclusivity of owning real estate in highly desirable locations for a fraction of the cost of an entire home. Co-owning means price matches usage! Fractional Ownership properties are usually located in destinations where resort real estate is at a premium, on a golf course, at or near a ski slope or on the lake. 1/2 shares to as small as 1/17th shares of deeded home ownership have now become an important segment of the vacation ownership market in the North Tahoe-Truckee area. Savvy buyers are looking for more time spent enjoying their vacations instead of maintaining their homes. These Fractional Ownerships provide the amenities of a luxury home such as fully equipped kitchens with granite counter tops, whirlpool baths, roomy closets, and year-round storage of sports equipment, etc. – combined with the benefits of a first-class hotel such as concierge services, housekeeping and grocery shopping services. Depending upon the design of the property, residences may be hotel suites, cabins, townhouses or single family homes. Owners purchase a deeded share in a residence (usually between 1/4 share to as small as a 1/17th share) that gives them a certain number of weeks use per year at the property and use of all the amenities at the property, or in the subdivision in which the property is located. The number of weeks of use is based upon the size of the share, and they rotate throughout the year. For example, a 1/4th share provides one week use every four weeks, or a 1/17th share provides three weeks use per year. Some Fractional Ownerships have very flexible use schedules, others are more rigid. There is usually flexibility in moving your weeks around among the other owners. The remaining unassigned weeks may be used for maintenance, or often the time is available for owners to use at a minimal cost. By only paying for the time you use, Fractional Ownership (Shared Ownership) can be a much more cost effective way to stay in high demand, desirable locations such as Squaw Valley, Lake Tahoe, Northstar and Truckee. Currently prices per share range from $9,985 to several million dollars with an average price per share of $111,124 depending on the location, number of weeks, number of bedrooms and the level of luxury. 4) a higher level of luxury in furnishings, services and amenities. Personal service is one of the key features that sets Fractionals apart from traditional vacation home ownership. In today’s world, time is becoming the most valuable commodity for most people. Rather than wasting time grocery shopping, unpacking, cleaning or maintaining a property, people would prefer to recreate or relax. For buyers, Co-owning is a more affordable means to own vacation property. Since most people don’t vacation more than 3 to 12 weeks per year, this is a way to pay for just the time they use and not for unoccupied time, like in a whole ownership. Shared ownership means price matches usage! For example, they can have use of a $200,000 to several million dollar luxury home or condo, as a Fractional, for anywhere from $9,985 to $800,000 (the median price is currently $46,000), plus homeowners fees (which they would be paying monthly anyway on a whole ownership), plus have services that would not be available with whole ownership. Financing is occasionally available on some Shared Ownerships (usually the Fractional projects), but in today’s tight credit market it is not available for most. Buyers usually have to pay cash. For sellers Co-ownership can greatly expand the target market. There are more people who can afford $9,985 to $800,000, than there are who can afford $200,000 to $5,000,000 +. In today’s market that may mean the difference between getting a property sold or having it sit on the market unsold for a long time. It may also mean not having to drop the price to get it to sell! Often, sellers choose to keep a share themselves. In the Tahoe market there are presently three types of Fractional Ownerships. The first is single family homes or condominiums. A few of these can have very casual agreements, but most have deeded ownership, governing documents, a schedule of use times, a management company and cleaning service, like what you will find at Sweetbriar, in Kings Beach. The second is Resort properties, such as the Fractional Ownerships in the Northstar Village or the Tahoe Tavern in Tahoe City. These have deeded ownership; governing documents, scheduled use times, but also, include the convenience of on site management, maid service, on site amenities and activities. 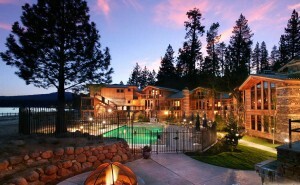 The third type is a Private Residence Club like Tonopalo on the North Shore of Lake Tahoe. Private Residence Clubs have everything that the Resort properties have along with the prestige and exclusivity of a private club membership. They offer an enhanced level of service and more amenities like those usually associated with a four star hotel, such as a spa, 24 hour concierge services and recreational equipment (power boats, kayaks, etc.). They can even stock your refrigerator and bring to your unit what ever items you have stored in their special owner’s storage facility. In Truckee the Fractional Ownerships that are offered are the structured type with governing documents and defined use schedules. Some have been in existence since the mid 80s but most are not more that 5 – 10 years old. At Old Greenwood (a gated golf development) and the new Northstar Village there are high end Fractional Private Residence Clubs. In both of those areas and in Tahoe Donner there are also some very nice, million dollar single family homes and more modest homes that are offered as Fractionals. Shared Ownership makes so much sense that industry statistics show the Fractional Ownership market is growing and it is only in its infancy. Currently 17% of the single family home and condominium listings for sale in the North Tahoe-Truckee area are Fractional Ownership shares. In high-end resort real estate markets, like ours, large developers and brand name hospitality companies like Marriott, Ritz-Carlton, Four Seasons, Intrawest, East West Partners and KSL Equity Partners have already developed or have plans to develop, Private Residence Clubs. In the North Tahoe-Truckee market you have both large and small developers that have introduced new Shared Ownership homes or larger projects giving the consumer more to choose from.